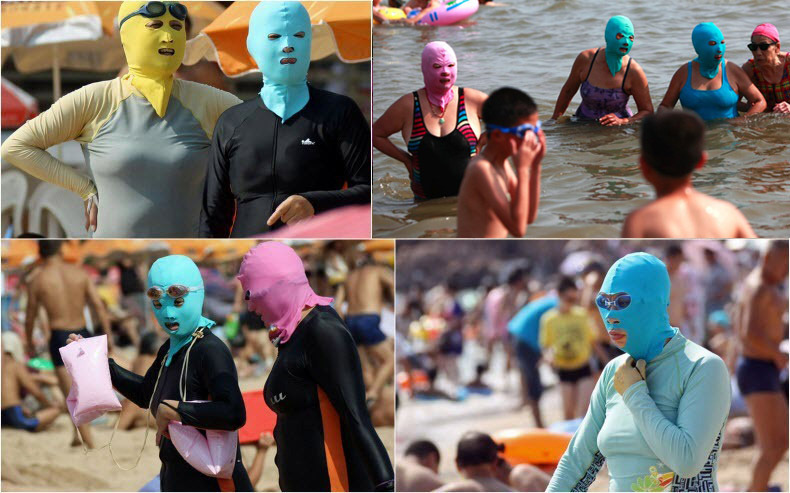 Unlike in western culture, women in Asian countries don’t like to get a tan particularly in the face. Tan is often seen as a connection to outdoor work and peasantry who toil in the sun. Fair skin, on the other hand, is associated with aristocracy and seen as a sign of feminine beauty unscathed by the indignities of manual labor. Preserving one's pale skin, which is an obsession across Asia, is encouraged in many Asian culture and cosmetic products that caters to this belief is a booming industry. Drugstore shelves across Asia bulge with rows of creams and cosmetic that promises natural-looking fair hue.